Josh Fields is one of the newer faces with big expectations on the Sox this year. When the White Sox defend their 2008 AL Central title this season, they will do so after overhauling a third of their lineup. Opening Day brings new starters at the center field, second and third base positions. Additionally, last year's 2B, Alexei Ramirez. moves over to shortstop. For this season to have the same thrilling conclusion as 2008, when the Sox finally won the division race over the Twins in game No. 163, it'll be because of the new guys. CF and hitting leadoff, DeWayne Wise: Was it a smart move to start Wise in the leadoff spot, given his awful on-base percentage? He's simply the least of three evils for manager Ozzie Guillen, as Jerry Owens can't hit at the major league level and backup Brian Anderson continues falling way short of the expectations he came into the league with. Reserve infielder Brent Lillibridge can play the center field position when called upon as well. 3B Josh Fields: His name may be Fields, but fielding is not Josh's strong suit. Joe Crede's replacement does have plenty of power though, slugging 23 homers with 67 RBIs in just 373 at bats in 2007. "I think he had a tremendous spring training, both offensively and defensively. Unfortunately, the rough day he had was against the Cubs with everybody in Chicago watching the game, when we don't play the Cubs, people don’t watch (preseason) baseball, but I don't worry about Josh. 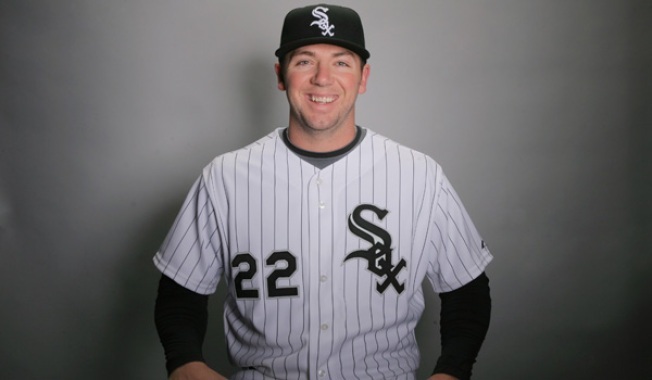 I expect him to have a great year," manager Ozzie Guillen said with his usual Borat-like candor. 2B Chris Getz: What do you get with Getz? A possible Rookie of the Year candidate with a history of getting on base consistently at every level and solid range on defense. As he gains more experience, he may find himself hitting leadoff -- should Wise struggle in the job. Ozzie Guillen bluntly assessed the situation. "If things don't work the way the way we want to, I'm not afraid to change lineups. I'm not too patient either. I think what I see from Getz is pretty special. Can this kid lead off? I don't have any doubts, but him batting second we can do a lot of things," Guillen said. Read more of Paul Bank's work on The Sports Bank, the NBC Chicago Street Team Blog and Washingtontimes.com.